Having A Little One Means Owning A Hair Chair. There Are So Many Styles & Brands Available But What I've Learned From Experience, Is That Space Saver High Chairs Are The Best & A Must Have! 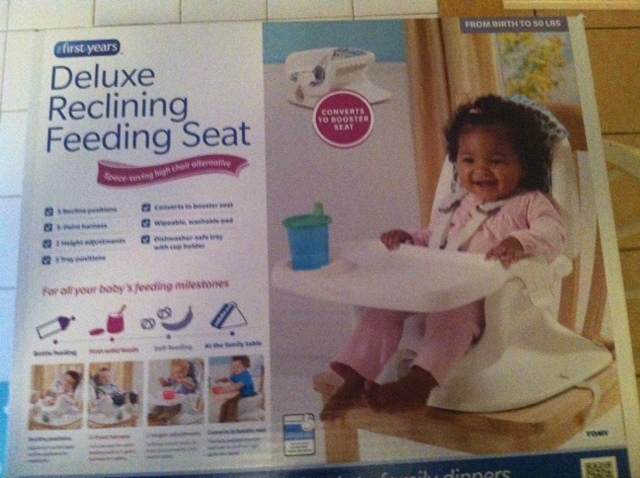 My Daughter Loves To Be A Part Of The Family & In Her Growing Independent Stages, I Was Happy To Introduce Her To The First Years Deluxe Reclining Feeding Seat! She Can Join Us At The Kitchen Table & Eat With "Big People!" I Was Instantly In Love With This Seat When It Arrived! It Was So Easy To Put Together! In Just A Few Steps, The First Years Seat Was Ready & My Princess Was Anxiously Awaiting To Try It Out! 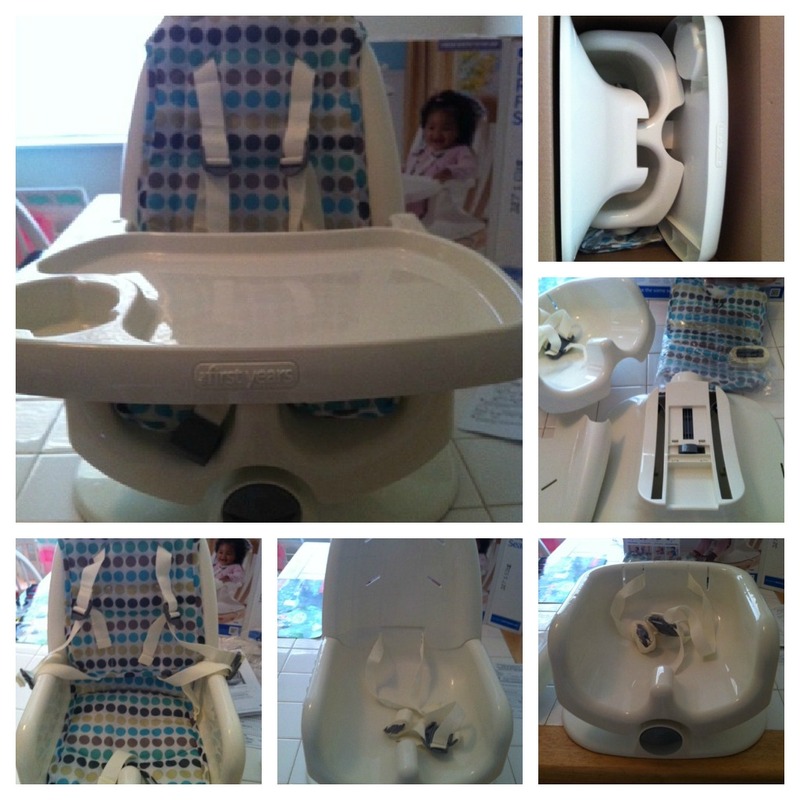 From Baby That Is Enjoying Her First Food's To A Toddler Booster Seat-This Seat Has It All For Every Milestone! 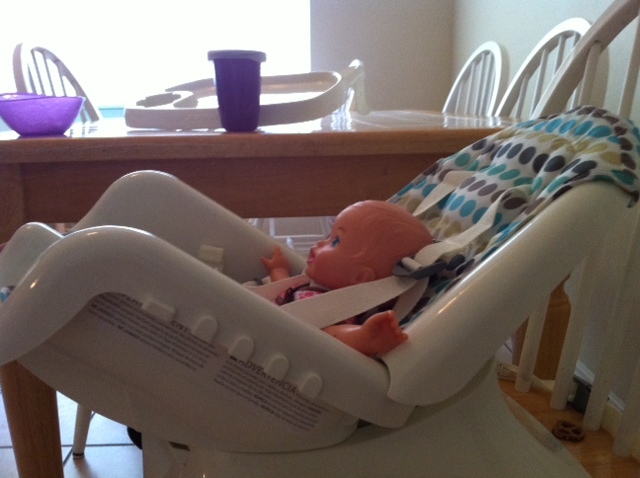 The Seat Itself Adjust To 5 Comfortable Recline Positions (See Baby Model). It Has A 5 Point Harness To Keep My Daughter Safely Secured. 2 Height Adjustments To Keep Your Growing Toddler Comfortable While Eating & The Washable/Wipe-able Pad Makes For Easy Clean Up! You Can Also Toss The Tray W/A Cup Holder In The Dishwasher For The Dirtier Jobs! My Princess Happily Sat In Her New First Years Seat & Enjoyed A Snack. 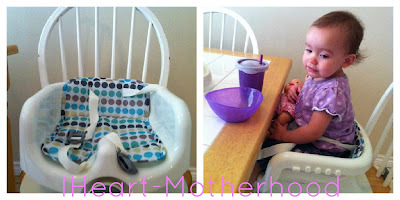 She Kept Telling Me High Chair High Chair High Chair! She Was So Excited! Converting To The Booster Seat Was A Breeze & Allowed Her For Even More Independence As She Grows. For Now She Enjoys It With The Back On & Loves That The Tray Holds Her Sippy Cup. The First Years Has A Variety Of Products For Every Age-Sippy Cups, Car Seats, Monitors & More! 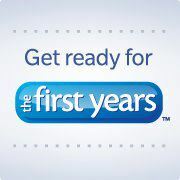 Connect With The First Years On Facebook, Twitter & You Tube!